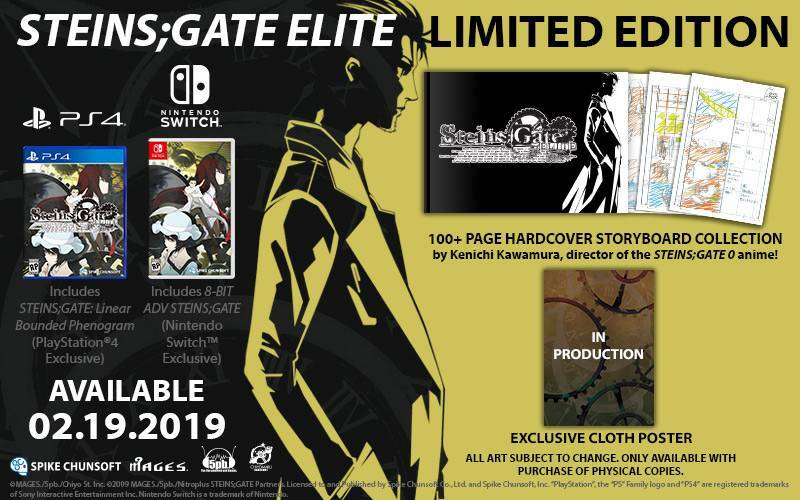 Spike Chunsoft has announced that Steins;Gate Elite will launch for Nintendo Switch and PS4 in North America and Europe on February 19, 2019 both physically and digitally. In North America, Steins;Gate Elite will be available as a Limited Edition ($89.99). 100+ page Hardcover Storyboard Collection — Storyboards for the newly-created animated scenes specifically for Steins;Gate Elite. Kenichi Kawamura, director of the STEINS;GATE 0 anime series, was in charge of creating each storyboard. Exclusive Cloth Poster – Features original artwork designed specifically for this limited edition. 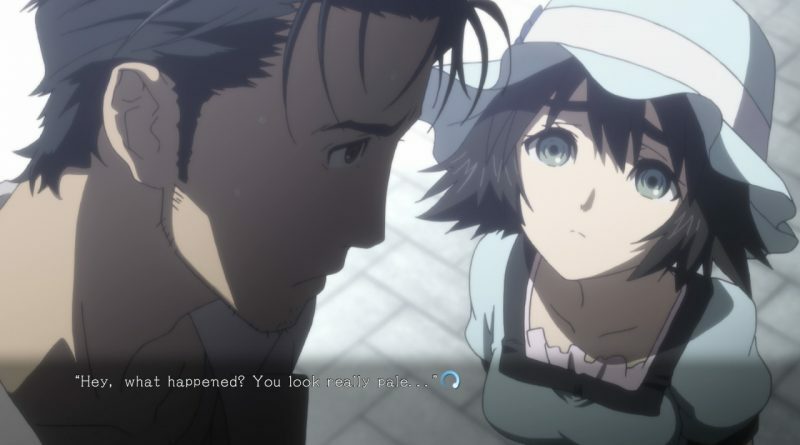 Steins;Gate Elite is fully remastered with animated scenes from the anime, creating a brand new, immersive experience. Follows a group of young, tech-savvy “lab members” who discover the means of changing the past via e-mail using a modified microwave. Their experiments in pushing the boundaries of time begin to spiral out of control as they become entangled in a conspiracy surrounding SERN, the organization behind the Large Hadron Collider, and John Titor, who claims to be from a dystopian future.